The Black House has been a gathering space for black students at Northwestern since the early 1970s. The University suspended a plan Sunday to reorganize the space to include more staff offices following objections from students and alumni. In response to opposition from students and alumni, Northwestern has postponed moving administrative offices into the Black House and the Multicultural Center, a decision that would have forced several student groups to share spaces. The University announced the postponement Sunday. Administrators had planned to move Campus Inclusion and Community staff offices into the two buildings this fall as part of a department restructuring, reducing the number of available rooms for student groups, according to an email sent Friday to a Multicultural Student Affairs email list. For Members Only, the Asian Pacific American Coalition, the Muslim-cultural Students Association, Alianza and several other student groups would have been affected. The announcement quickly prompted responses from students and alumni seeking to preserve the Black House as a haven for black students. Soon after the Friday morning announcement, the NU Black Alumni Association organized a conference call including MSA director Charles Kellom that drew nearly 200 students and alumni and lasted about three hours. Callers said they had not been consulted about potential changes to the Black House, which has served as a center of black student life for generations, NUBAA president Dr. Jeffrey Sterling said. “It would have been much more preferable if the students and/or alumni had been brought into the conversation at the beginning so that a collaborative solution could have been forged,” Sterling (Weinberg ’85) told The Daily. In response, Patricia Telles-Irvin, the vice president for student affairs, suspended the move and said the University will schedule four discussions during Fall Quarter to collect student and alumni feedback on the proposed changes. She will also form a Black House Facilities Review Committee to draft a recommendation based on the meetings, she said in a statement. The office reshuffle was meant to reflect structural changes to CIC effective Sept. 1, elevating CIC as the umbrella organization encompassing MSA, Student Enrichment Services and the newest department, Social Justice Education. The original changes would have moved some CIC offices to the Black House from Scott Hall, Kellom wrote in the Friday email. Student recreation space in the Black House, including a TV lounge and computer lab, would be concentrated on the first floor, he said. All MSA administrators would be housed in the MCC, allowing the staff to operate under one roof, Kellom said. The changes would require several student groups to share rooms — including FMO and One Step Before in the Black House, and APAC and McSA in MCC. The African Students Association and Northwestern Community Ensemble would also combine into one office in the Black House. Alianza and the South Asian Student Alliance, which currently share an MCC office, would be moved to the third floor. Bisola Sosan, who served on the executive boards of ASA and APAC last year, said she worries these changes would allow administrators to monitor students who meet at the Black House to plan demonstrations or protests. Sosan, who listened to part of Friday’s conference call, said although the University intends the changes to facilitate communication between CIC and students, she believes the department — which is meant to represent the entire student population — should not move into the Black House. 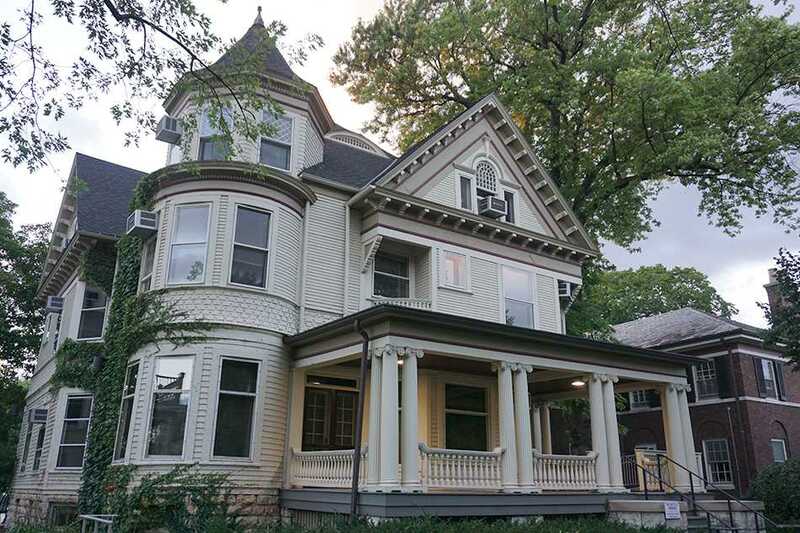 Sterling said during his time at NU the house served as a space for students from inner cities or disadvantaged populations to acclimate to the University environment. NU established the Black House in 1968 to end the sit-in at the Bursar’s Office in which students demanded an African-American studies program and a gathering space for black students on campus. The three departments under CIC are meant to address different facets of campus inclusion: MSA provides programs enhancing students’ cultural experience, SES works with low-income and first-generation students and SJE focuses on academic programs. With the new model, administrators intend to enhance programming that highlights intersectionality, better fulfilling the needs of students who expressed feelings of exclusion in a 2014 MSA survey. Sterling said although NUBAA appreciates the University’s intent, which was clarified in Friday’s conference call, it seems counterintuitive to use an approach that shrinks a central environment for African-American students. “There is a fear that, as those services are allocated under the banner of Multicultural Student Affairs, less attention will be given to African-American students, even as African-American students still suffer disproportionately to the general population,” Sterling said.